Starbucks is running a new Happy for Days promotion! Ask a barista at your local store for a “Happy for Days” card. Each time you buy a grande Frappuccino, you will get a sticker. 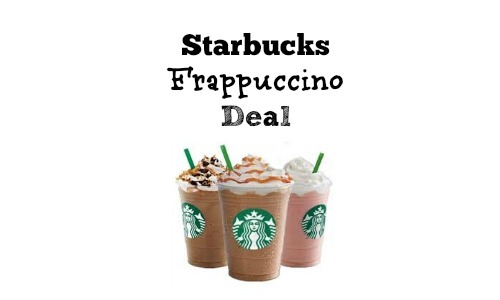 Once you have purchased (4) Frappuccinos, you will receive one for FREE!